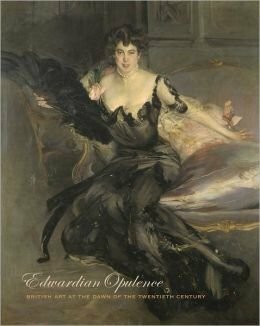 Views of the Edwardian era have swung between seeing the period as a golden summer afternoon of imperial and elite complacency and the starkly conflicting depiction of the decade as one of intense political, economic, and artistic instability leading up to the chasm of the First World War. This magnificent book explores themes of power and a contrasting lightness of touch through the distinctive architecture, interiors, and decorative and fine arts of the time. Creation, consumption, and display are enlightened through portraits by Sargent and Boldoni, diamond tiaras and ostrich feather fans, and a spectacular embroidered gown belonging to Mary, the American-born wife of Lord Curzon, Viceroy of India. At the same time, the Lumiere brothers' invention of autochromes enabled informal colour portrait photography that fostered the cult of celebrity. Opulence and leisure were driving forces for the domestic and imperial British economic engine in the early years of the twentieth century.